This video is about an application, that allows you to check your body temperature by simply using your Android Device with the rear camera. 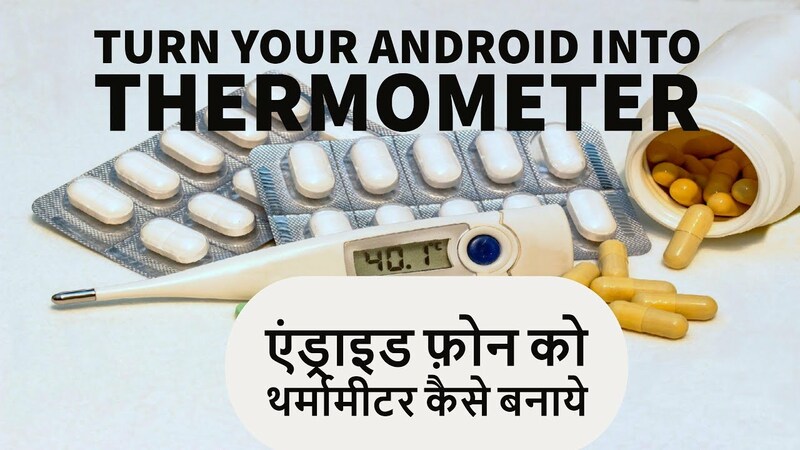 How To Measure Your Fever With Your Android Camera, Turn Your Android Into Thermometer 2017 and please don't forget to Like, Share, Comment and Subscribe to our Techno Vedant Channel for more videos. The Application Enables Measuring the Temperature Using the Android smartphone camera. With this app, the regular camera of your Android phone can measure the precise temperature of the human body!!! Do you think you have a fever and you don't have a thermometer? This app allows you to measure the fever, or at least have a rough indication, by using your phone's camera, it calculates the body temperature and the level of fever by analyzing the number of heartbeats, because the heart rate is influenced by fever. It may not be 100% reliable because it checks fever only by your pulse rate, it is not a prank like another similar app to measure fever and body temperature, and it can be used at work, at school, on the road or in any place where you can measure your body temperature through a simple and intuitive graphical interface. You only need to place your index finger on the lens and wait for about a minute and the app will calculate your heart rate and the body temperature using special algorithms that analyze the pulsation of blood vessels. - Start the app and in the rest state, place and firmly hold your index finger on the rear camera. - Tap the red "Start Thermometer" button to start scanning of the finger pulse and display the results. DISCLAIMER: This app doesn't replace the real thermometer. It calculates the temperature only through heartbeats, which is the best detection system with a smartphone, but it isn't foolproof and it can't be used for medical purpose. The app can not provide reliable results for children.